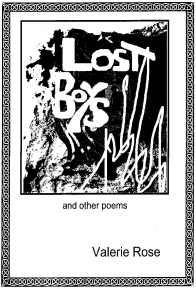 Or buy a lovely little ebook of poems by Lincoln poet Valerie Rose, Lost Boys. Why a Grimsby Poets Corner ? Well if there was another one on the Web at the time I thought of it, I could not find it !? And I was briefly a published concrete poet in my youth - a poem of mine 'Only the moon' graced the front cover of one of the smaller poetry magazines. (for now I've put it here below, I think I wrote it not long after a girlfriend had dumped me !) Poets, story and song writers from Grimsby or around need some Web place to show and discuss their stuff, and the world is interested even in those few lines that almost every youth writes for their diary - or post on Forums as many now prefer !? What does Grimsby Poets Corner and our Forum cover ? Well any poems, songs and short stories certainly. No rules really, and its free. So we can let the world see, what some British poets can do. Get it in and we'll get it on (the Web). And now, a Links section below as well as our Grimsby Poets Forum getting lots of good poetry/song/story posts. AND local writer Cara Louise from Cleethorpes has published some very interesting books of hers. She has written mostly in the Magic/Myths genre for children aged 8-12 - local Harry Potter stuff ?! She has mostly published on CD to read on your computer, but also one as a printed paperback. Cara also has one adult novel published called Betrayed, and you can buy from her website - Cara Louise Books - as noted on a post in our educational forum. So local scribblers, do use our forums or the 'contact' button below. For now just a few lyrical words - and more soon from you all I hope !? YOUR OWN BOOK ? of Poetry/Song/Short Stories. If you would like to try it, you can get your own e-book published easily at little cost. On a PC you may use Word to write, or some other wordprocessor, that you may have had to BUY so NOT all PC users have it. But few e-books are published in Word format, and most are published by converting Word files to PDF which allows ANY PC user to read nicely, as there is a good FREE PDF reader available (at www.Adobe.com). To produce an ebook, or both a printed book and ebook you can use LULU.com, LSI, LightningSource and/or Booksurge. This is cheapest if you format your book to a 6 x 9 inches page size with separate cover 6.125 by 9.25 inches, ideally as pdf files and with any images at 300/305 dpi. For the cheapest way to produce both an ebook and printed book see Publishing. A short classic e-book you can download now free here is 'Three Ghost Stories' by Charles Dickens, 0,22mb PDF - for other free adult and children's classic literature see our PC-Learning page or the Online Store free-gift area. Lets get one of your love poems or love song lyrics on the Web here soon. A sonnet or a rock song or a rap or whatever. Well you could try anything ! Prove that British poetry and song is not dead, and we of course go with the 21st century view of British and of poetry and song ! And still arrive there too late. And in a fight he would do his best. The dragon he wanted to slay. You can see Nora Batty today. NE Lincs does have some who can write a bit ! So, yea, yea, yea, yeah. And a paradise we will share. Have you maybe written a similar bit of a fantasy love poem or song, but maybe imagining you are a Lottery Jackpot Winner instead of a Duke ?! These words almost equally well describe John Wilmot's life, of wise(ish) words and foolish actions, when he died aged 36. Maybe his unstable life was due to his father Henry's death aged 45 when John was aged 10 ? When sober he perhaps wrote middle-class poems that the middle-class could acclaim 'great poems', but John Wilmot when drunk perhaps wrote more anarchistic and crude working-class poems that got much less acclaim ? and 100 saved us all then. and took Mars right out of the game. But whatever however you can scribble send to this site please, and show the world that British poets and lyricists are not yet an extinct species ! And we can all scribble something. if only, we say, if only. non-starters, we call them, not a hope. do we know what it is to be lonely? if they could show us, they would. they shine like stars in the mire. they are stronger than you or I are. 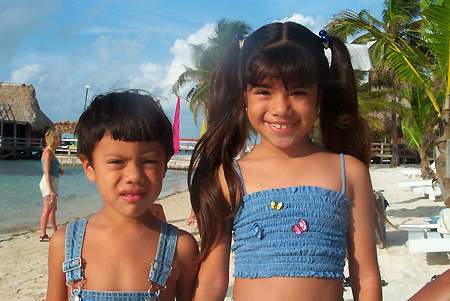 they are the future, take heed. they respond in our hour of need. so let your next thought be kind. breaking rocks and serving my time. for what I did for that woman of mine. well I reckon that oughta get it. and my woman cried "Oh Lordy no!" In our Grimsby Poets Forum you can post a poem, song or story that you especially like, or your views on one that you hate, or post something that you wrote. You can also post your questions, or answers, or be like the vast majority and just look - and maybe learn from what others have to say. And there are also General Discussion, Games and Puzzles and Educational sections ! Dave and Julie Evardson, Grimsby. "It is nice to see a site that helps promote poetry and even better that they are from my home town Grimsby." Geoff Tims. And nice to have Eudaman join our forum recently. He writes great short stories and we hope that he will be posting some new ones soon on our forum. If you have any other poetry-lyric-story links that you feel should be here, please tell us ! One great Jazz Club that you may like to visit is Gainsborough's The Sands Venue. It plays some of the top acts from this country and abroad, and has a good website, so check it out ! Or if you like downloading MP3 music, then try MP3 Advance ! For a relationship advice on how to kiss, date and more - Kissing, dating, love, marriage. Our online store (and Freeman Street shop) is designed with Grimsby and Cleethorpes parents and children especially in mind ( and visitors to this great bit of coast ! ). If there are Sats or GCSEs to be revised for, or just a developing mind to be sharpened or amused, see our great range of CGP educational books, covering many subjects over a wide age range and exam range and widely used in schools and homes. We also exclusively stock the full range of Wilmot's Wizard Math Sheets for all ages. Or if family bonding and relaxation need that game or puzzle then we hold a great selection especially of jigsaw puzzles. Visit the store, or tour our website and online store. Your feedback is welcomed and we will try to meet your needs. - interested in developing a small Cleethorpes property, formerly Hairdresser ? - or could be a local Newsagents shop ?